The impact of people can be seen everywhere, even in the wildest parts of Maine. In the southern and coastal regions, what was once a mostly forested landscape inhabited by the first Americans soon became the agricultural and logged landscape of the European settlers. Today we have added the suburban/urban sprawl of modern America while inland we see abandoned farmland and villages being reabsorbed by forests. Every school child learns that early in our nation’s history the Native American population was decimated. The same fate befell the wolves and mountain lions of the Northeast, which had mostly disappeared by the beginning of the 20th century. Now we are seeing even more of the nature around us dwindle. Once-common birds, pollinating insects, mammals, and amphibians have lost their homes because the native vegetation is retreating. And it is not just rare plants—many populations of common species have disappeared, some of them buried under pavement and buildings, others have been replaced by horticultural plants that are bred to appeal to the aesthetics of people and not the needs of other creatures. Even in wild areas many plants are not the aboriginal species; they are imports from other lands. Because these plants don’t share an evolutionary adaption with the native fauna, they are one dimensional. They still produce oxygen, soak up rainwater, and cool the paving, but they do not provide food or habitat crucial to many of the native insects and other fauna that makes up a healthy diverse ecosystem. When the native plants are missing, fewer songbirds and pollinators can live and reproduce in this novel landscape and this loss has a ripple effect to other native species. So are we, modern humans, going to let the same thing happen to our native plants as we did to the first Americans and large carnivores? Is it inevitable, or do we have a chance to shift the trajectory? It is relatively simple to invite some diversity back to our landscape. I know this because I have spent the better part of the last 30 years propagating and growing native plants. When you return native plants to the landscape, they begin the process of providing habitat for all the other creatures up and down the food chain, from the pollinating insects, to the birds, amphibians, furry mammals, and the invisible creatures of the soil. I want to give our native species a place back in our landscape, so that they can send their genetic descendants into the future and be a part of the new landscapes of Maine. I also want them because they are beautiful and connect us to this land. 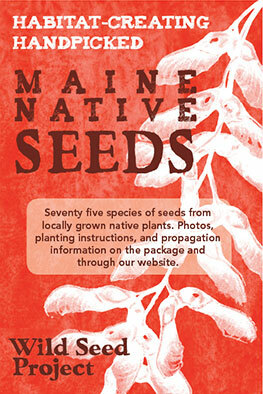 Everyone has the ability to participate in restoring some of the diversity of Maine’s flora and fauna. During this cold, dark, sleepy time of year, look around your local landscape and see where it needs some attention. Where could you add some native species? It could be your yard, your street, your front steps or balcony, a local park, or a derelict lot down the street. You could help get a native tree planted on the street, create habitat with some vines scrambling up a harsh-looking fence, plant some tough native groundcovers by your curbside waste area, or place a few shrubs or wildflowers in a planter by your door or in a window box. If you have a large garden or lawn, you could give more space to native habitat, return some lawn to meadow, add a mixed hedgerow of native shrubs, or plant more trees to shade buildings and paved areas. If you are a computer whiz, join a citizen science project that collects data on native plants, such as flowering and fruiting times. 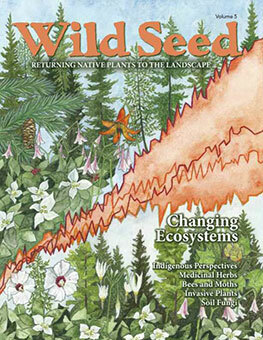 We will cover this topic in our March blog posting about phenology by Kass Hogan. If you are a gardener, your skills could be used planting native species or becoming a seed propagator. If you don’t have your own patch of earth, you could help maintain some public plantings. If you are an outdoors person, you could lend your hand to wild land restoration work and or monitoring wild plant populations. Political activists can work with their communities to promote nature by attending public meetings, planning sessions, and writing letters to local media. There is much policy in need of change. 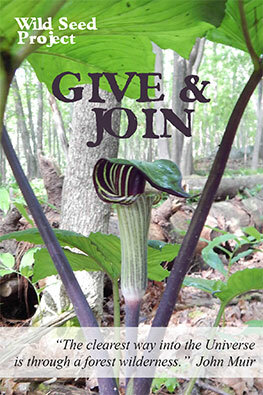 Or you can be a supporter by contributing financially to a native planting project. Each month, in this blog, we will offer small actions that you can take to return native plants to the landscapes of Maine. We hope we can help you find a way to participate.